Chiapas is full of color, spirituality, culture, beauty and wonderful people. I love Chiapas. The first time that I visited, I easily fell in love. Since then I have been showing unique places in Chiapas to unique people like you! Trip ends at: Tuxtla Gutiérrez Chiapas Airport on 23rd January at 8 a.m.
We will meet at our centrally located hotel and have our welcome dinner at 6:30 p.m. or so. Our first stop will be the outstanding park/museum of La Venta, designed by the poet Carlos Pellicer. His main purpose was to provide an open place to display the majesty of several Olmec heads. After lunch we will travel four hours by van to the Lacandon Jungle. Traveling by boat on the Usumacinta River, we will visit Yaxchilán, an important archaeological site where you will be amazed by its beauty and remoteness. Then we will visit another archaeological site, Bonampak, where you will be delighted with the unique colors and themes that are shown in the chambers of the Acropolis. Then we will spend some time with a Lacandon family. We will travel to Palenque, one of the most important archaeological sites in the Maya area. You will learn about its main rulers, writing system, hierarchy and much more. After traveling to Tuxtla Gutiérrez, the capital city of Chiapas, we will take a boat to visit the Sumidero Canyon. Then we will learn about the traditions in Chiapa de Corzo and its main fiesta, the Parachicos. 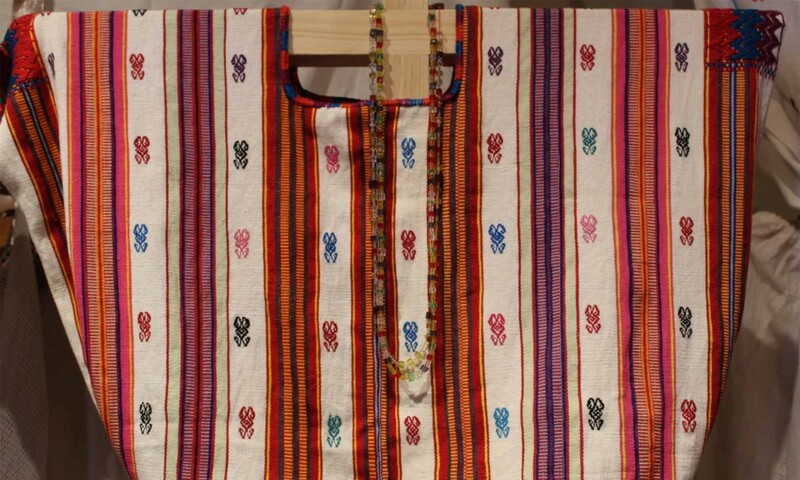 We will visit the Textiles Museum of the Maya World in San Cristóbal and enjoy the variety and versatility of the textiles of the Highlands of Chiapas. Then we will attend the main day of the fiesta to honor St. Sebastian in Zinacantán and San Juan Chamula. We will be immersed in their culture, popular religiosity and mysticism. After visiting the Maya Museum of Traditional Medicine, we will go to Tenejapa, where we will be part of the fiesta in honor of St. Ildefonso. Then we will visit the Na Bolom Museum where we will close with the story of Frans Blom and Gertrude Duby. Chiapas is very well known not only for its beautiful textiles but also for its pottery. At Amatenango del Valle, we will meet the most important artist in town, Juan Gómez, and we will share some time learning about the pottery traditions. We will leave San Cristobal at 6:30am, and will arrive at the airport at Tuxtla Gutiérrez, Chiapas before 8am. *For the convenience of the travelers, this trip will start in Villahermosa, Tabasco, and will end at the airport at Tuxtla Gutiérrez, Chiapas. This trip was designed for only sixteen travelers.